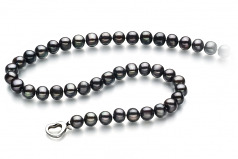 Simply graceful, the medium 8-9mm black freshwater pearl and .925 sterling silver necklace takes a completely out of round shaped pearl and combines it with an A body to create a stunning and inviting pearl necklace that leaves many in awe of your elegance and sense of fashion. 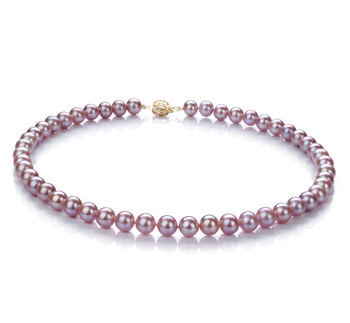 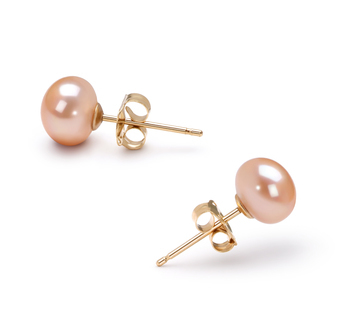 The perfect nacre and mild AA luster combine to create a shimmer effect on each unique pearl. 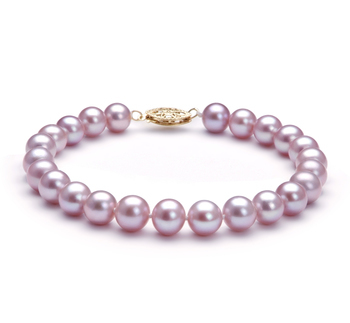 No two pearls are alike in size, shape or dimension. 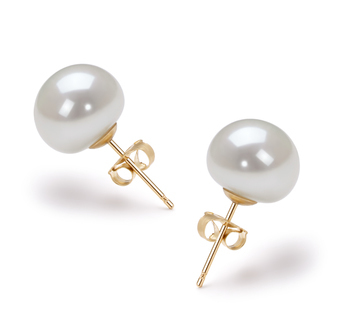 Some are round, oblong, bumpy, and all are completely interesting. This necklace exudes the grace that will draw the attention and conversations to you on any occasion. 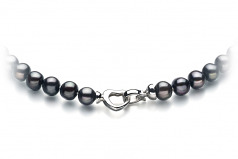 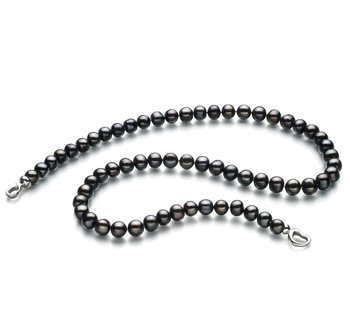 Due to its unique nature, the .925 sterling silver heart clasp and its 23” Matinee length, it is truly a black freshwater pearl necklace that can be worn on any occasion.